While many automobiles are manufactured with disc brakes on the front wheels and drum brakes on the rear, the Mini Cooper is available with disc brakes all around. The reason for using the combination on some automobiles is to reduce the cost of the vehicle. Older Mini’s can easily (at a cost) be converted to all disc brakes, if desired. 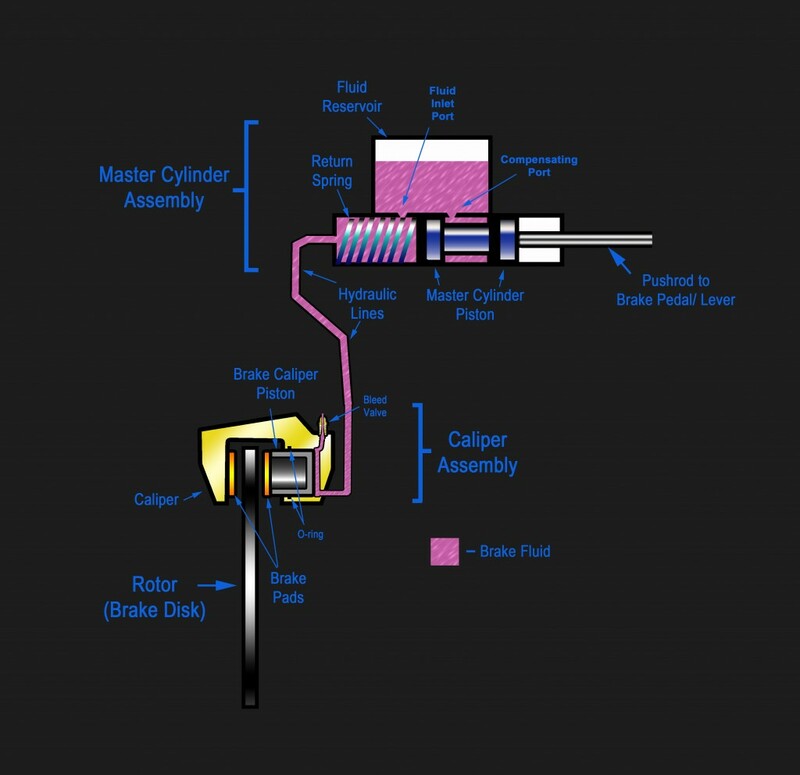 Regardless the model, understanding the brake systems on your vehicle can help you detect brake issues before they become an expensive repair. Pressure exerted anywhere in a confined incompressible fluid is transmitted equally in all directions through the fluid such that the pressure ratio (initial difference) remains constant. push rod transfers that motion to the master cylinder piston which in turn increases the brake fluid pressure (inside the reservoir) by pushing the return spring into the master cylinder reservoir. 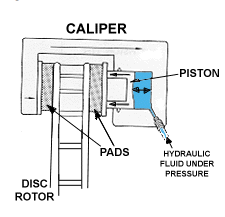 As the pressure increases in the reservoir tank, the fluid is transferred via a primary seal to the hosepipes that distribute brake fluid to the caliper assembly. The pressure of the brake fluid pushes the caliper piston(s), pushing the brake pads, squeezing the rotor and stopping your vehicle. The friction provided from the brake pads slows or stops the rotor from rotating, stopping or slowing the car. Notice: the piston presses against the inside of the rotor while the caliper presses against the inside of the rotor. 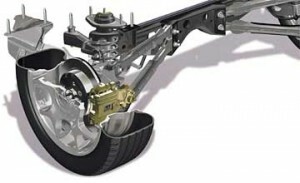 Once the brake pedal is returned to normal position, the system reverses and the pads are released, allowing the rotors to turn. As the return spring pushes the master cylinder piston back into original position, the pressure on the reservoir is removed. At this point, the brake fluid flows back into the reservoir via the hosepipes. 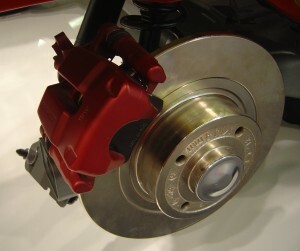 Each caliper has a pair of brake pads; one on either side of the rotor. Both the caliper and the piston have brake pads. It is essential when installing pads that they are positioned properly; the pads are not interchangeable. Normal wear and tear requires that brake pads be replaced on a regular basis. Previously constructed of asbestos, brake pads are now made from a synthetic substitute, aramid. Most disc brake pads have a wear tab that will cause a high pitched squeal to alert the driver the pads are worn. Typically constructed of iron, the rotor has a precisely machined surfaces that contact the pads, that friction will wear down with braking. To maintain the necessary smooth surface for effective braking, the rotor surfaces are machined during a brake pad replacement to remove uneven surface wear. Once the rotors are worn beyond machining tolerances, they must be replaced. As a general rule, it is always a good idea to inspect your brake pads and rotors for excessive wear on a regular basis. Everett Mini Brake Service & Repair can do a complete inspection/repair/replacement of your brakes as indicated. Having your brakes inspected with every oil change will assure your safety and potentially eliminate the need for costly repairs.